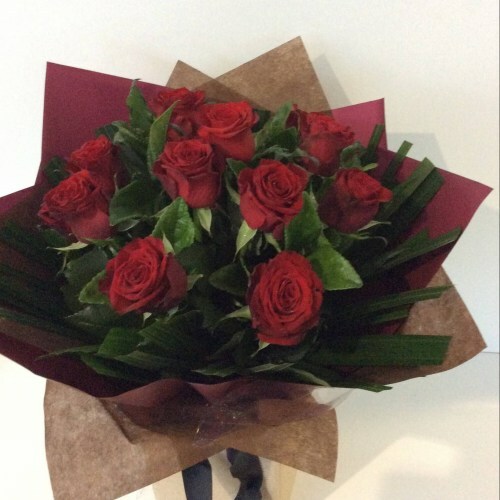 A stunning bouquet of locally grown red roses in a compact posy style bouquet. Standard includes 12 roses, Deluxe includes 18 roses and the Supreme includes 24 roses. Expertly hand-tied by our florists and wrapped in natural paper with coordinating ribbon.